Rear view of cottages that were almost derelict in 1975. 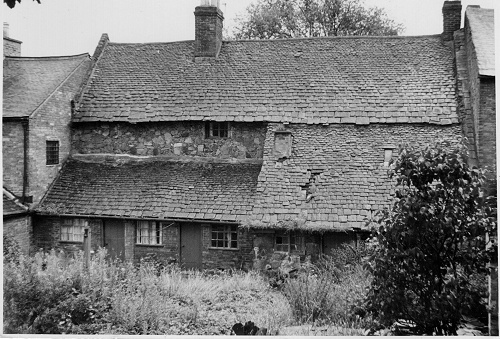 Photograph was taken just prior to renovation and conversion into two cottages. The single story is a Victorian extension. When it was removed (and subsequently built over), a stone lined well was uncovered.